Akshay Wakhare and Aditya Sarwate scalped three wickets each to run through RoI's middle order. While RoI were cruising at one stage, having lost just a wicket with 171 on the board, Yash Thakur removed Agarwal for 95 to initiate Vidarbha’s comeback. The middle order, comprising of India’s Test vice-captain Ajinkya Rahane, Shreyas Iyer, Ishan Kishan. 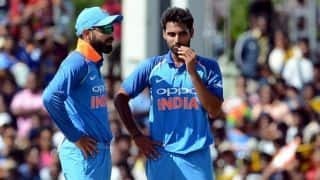 Krishnappa Gowtham and Dharmendrasinh Jadeja, failed to score big as RoI were reduced to 258/7 before they eventually lost nine wickets for 159 runs after a strong start. 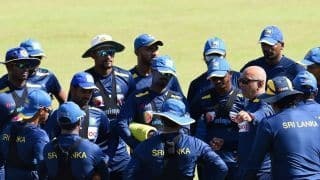 Although Vihari waged a lone battle and brought up a well-deserved hundred, the failure of the middle order meant that ROI could not build on a solid foundation. 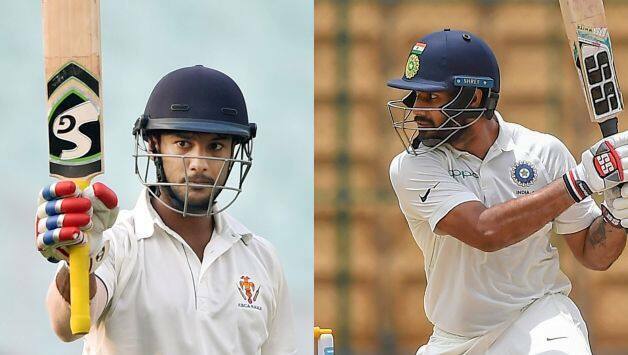 Agarwal, who made his Test debut in Australia in December, hit 10 fours and three sixes in his 95 from 134 balls. Vihari’s 110 spanned 211 balls and contained 11 fours and a couple of sixes. Agarwal was out when he lofted Yash Thakur to mid-off, and not long after Rahane (13) edged Sarwate to silly point where RR Sanjay held a juggling catch. Akshay Karnewar won an lbw shout off Iyer (19), before Wakhare dismissed Kishan (2) and Gowtham (7) who both fell attempting big shots. Rajneesh Gurbani was the fielder in the deep on both occasions, and he also held the catch to get Agarwal. Rahul Chahar (22) and Ankit Rajpoot (25) added vital runs down the order to get the total past 300.